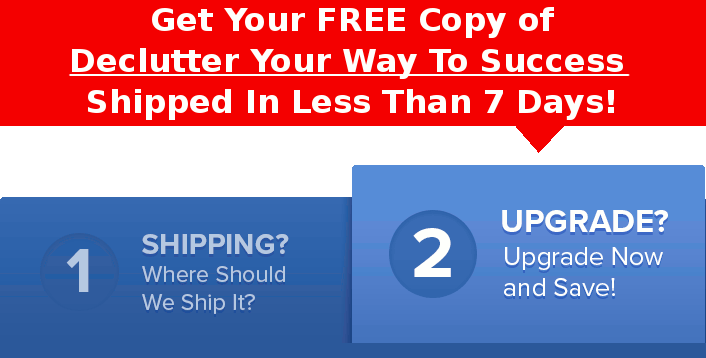 Upgrade Now And Get The Better Option ($119 Value) Yours Now For Just $47 Plus Shipping! 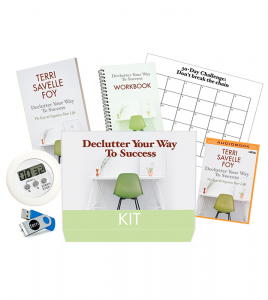 Get the AUDIO BOOK version of Declutter Your Way To Success to listen to on the go, PLUS the companion workbook to help you effectively clean out the clutter, 30-day Challenge wall calendar, digital timer, AND BONUS USB drive loaded with the ebook, PDF workbook, and MP3 audio book. Lowest price anywhere. 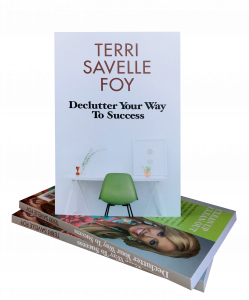 I Want To Start With Just My FREE Copy Of Declutter Your Way To Success…Yours Now FREE, Just Cover Shipping! 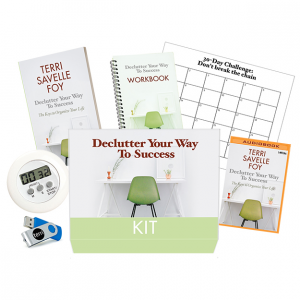 Yes, Terri! Upgrade My Order Yes!